grand guesthouse exceeds all expectations ... Baan Taveesri is a very good en exelent guesthouse. the rooms are exelent, the breakfast is also exelent the manager is very friendly, and will help you met place is very quitly. when i come back to Ao Nang i wll visit this place. Welcome to Baan Taveesri in Ao Nang. 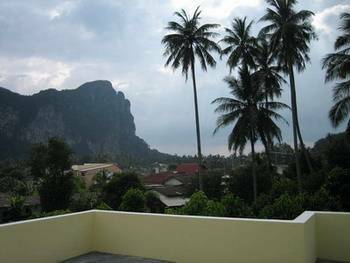 The 1 January 2006 was the day we opened up the doors for or new build guesthouse in Ao Nang. 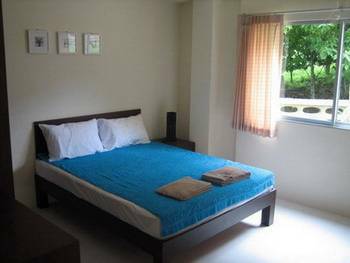 In the guesthouse we have 6 nice standard rooms and 2 large family rooms, all of them with own designed wooden furnitures, cable television, safety box, refrigerator and hot shower. 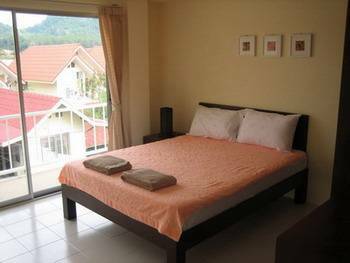 There is also the chance to choose between having fan or air-con in the room, and the rooms on 1. and 2. floor have nice balconies with amazing view over the valley. 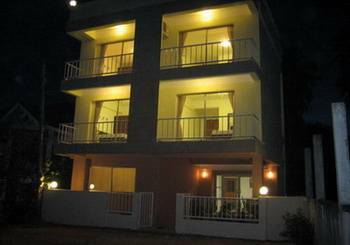 As we say This guesthouse have 4 star boutique hotels accommodation to cheap guesthouse prices. When you arrival to Ao Nang, and checked in to your room and maybe take some rest after your long journey, its time to explore Ao Nangs many attractions. You can enjoy a day on the beach, go on a trip to the locale islands around Ao Nang, take a diver license and dive in some of the best divings areas in the world or rent a motorbike and drive around and see the amazing land around in Krabi province. There are so many things to do in and around Ao Nang, and we can help you with arrange day trips, motorbike rent, diving trips, and so on. And we will guarantee you that we work together with the best operators in town. Around the 1. November 2006 we will open up a little café with internal food and breakfast in the guesthouse, there will be a chance to use the internet, and we will make the roof to a nice terrace were you can enjoy the sun and a drink in a cool environment. The guesthouse is located in Leela Valley. The valley is away from the main street and surrounded by mountains. In the valley there are many newly build houses with small gardens. The streets are small, and there live booth thaipeople and foreigners here. The people who come here for holiday like it so much they come back year after year. It is special in Leela Valley and we are sure you will like it to. Nearest airport: Krabi Airport, 30 km.